Federal regulators ordered a "safety stand-down" of Metro Friday, ordering it to correct "persistent critical safety findings." New General Manager Paul Wiedefeld has ordered a year-long intensive maintenance overhaul. The repairs will disrupt passenger service, but there are no plans to reduce fares. It's hard to watch the surveillance video and not imagine yourself on the platform. A Metro train rolls by, and seconds after the final car passes, a huge fireball explodes out of the track and whites out the screen. The fireball was caused by an arcing insulator, and it happened just about 7 a.m. Thursday. But Metro's general manager said it took most of a day before he saw the video -- and immediately shut down the Federal Center SW station. That's the culture that Metro GM Paul Wiedefeld has walked into, he told News4's Adam Tuss in a one-on-one interview Sunday: One in which an alarming video of a fireball inside a Metro station becomes listed on his reports as an everyday "arcing insulator." "It gets back to how the culture of the agency is. When you see something like that, somewhere in the agency, people aren't reacting," Wiedefeld said. "It gets to that much larger issue that we've been trying to deal with." 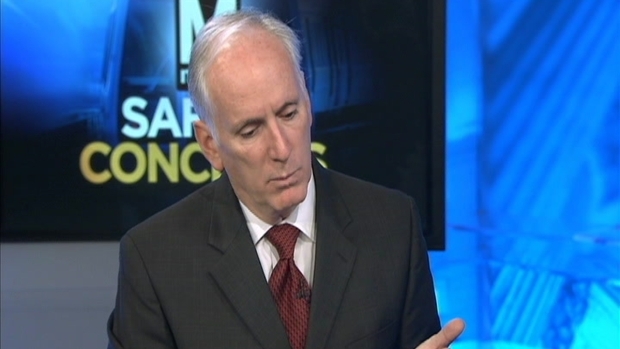 Wiedefeld said Metro should have closed the station earier in the day. "As an agency should we have done something sooner? Most likely," he said. He's also calling in all 650 of Metro's managers on Tuesday for the first gathering of all management of the system in its history, to "keep getting at those core issues of how we manage this system," he said. A Metro source told News4 that organizational changes, including firings, could be coming. Wiedefeld said he might have to fire some people. "What you have to do is get the organization to perform the way it should be performing," Wiedefeld said in response. "That means bringing people along, it means training them, it means giving them the right procedures it means exercising the procedures, it means all of that. "And then yes, if someone does something so out of line with that, then yes, they have to go." Federal regulators have told Metro repeatedly that it lacks a "safety culture," most recently the Federal Transit Administration in a strongly worded "safety stand down" directive that said employees are "not adhering to critical safety policies" and, in fact, that Metro couldn't recognize safety problems when they arose. Wiedefeld said Metro's management and the FTA are "on the same page." "We are trying to get this system as safe as we can as quickly as we can," he said. Wiedefeld also has called for a year-long maintenance overhaul Metro named "SafeTrack," which may require closing some stations at 8 p.m. on some nights and will mean closing the system at midnight on weekends. Also ahead: midday single tracking and at least five complete shutdowns of parts of the system. On a severity scale of one to 10, Wiedefeld called SafeTrack a "7." "We have to get more access to the railway, that's the bottom line," he said. Despite the disruption, Wiedefeld said there would be no fare reductions. Wiedefeld admitted it's a challenging job to overhaul a rail system that is aging, riddled with deferred maintenance projects, and with a large workforce (including 650 managers). Not to mention a system that President Obama used as a poster child for the nation's underfunded infrastructure in remarks last week. Given that, Tuss asked, has Wiedefeld ever thought about leaving? "It's one of the most exciting jobs most challenging jobs I have ever had," Wiedefeld said. "I'm enjoying it and the people I've been working have been fantastic, throughout the region." Tuss asked again: "Have you thought about walking away?" "My wife has asked me that question several times as well," Wiedefeld answered. "And you aren't going to answer it for us," Tuss said. "You'll keep that to yourself."